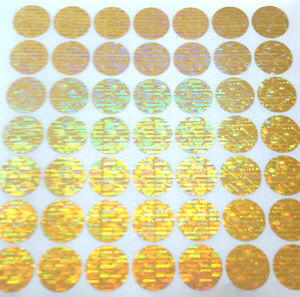 These high quality hologram void labels, feature laser sequential numbering with an alpha numeric prefix, (non-removable) and are prepared in sheets of 150mm x 150mm with 49 labels per sheet. Three versions are available from stock in packs of 100 sheets, 10 sheets or even single sheets. We can also supply other sizes/designs subject to quotation and minimum order quantities. 100 sheets @ £3.75 per sheet excl VAT and carriage. 10 sheets @ £7.50 per sheet excl VAT and carriage. 1 sheet @ £10.50 excl VAT and carriage.